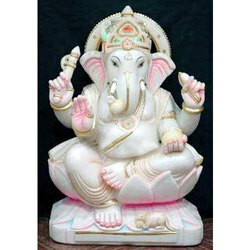 Prominent & Leading Manufacturer from Jaipur, we offer ganesh statues, ganesha statues, lord ganesha statue, marble ganpati statues, ganesha marble statues and designer ganesha idol. 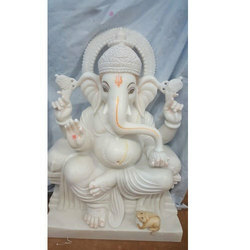 Ganesh white marble statue Intricately designed Ganesha Statues offered by us are creatively carved using high quality components. 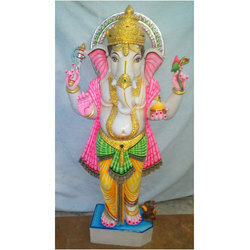 Ganesha Statue is one of the industry leading products offered by us at an economical price. We are engaged in continuous Research and Development to stimulate creativity of our skillful craftsmen. 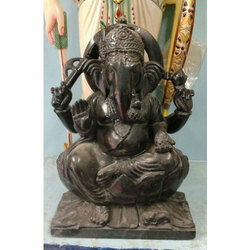 This statue illustrates the sitting posture of Lord Ganesha on a lotus flower. It creates a heavenly presence which hypnotizes everyone. It fits with all kinds of places perfectly. 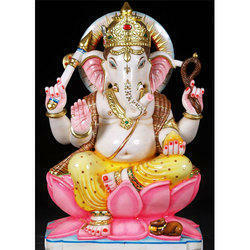 We are an affluent organization, offering a superior quality array of Marble Ganesha Statue. 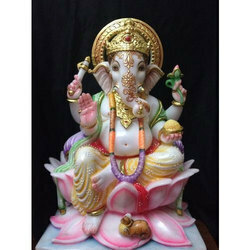 We are an advanced manufacturer and supplier of various high quality statues. 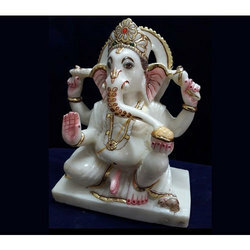 Our range of Marble Ganpati Statues has been prepared using purest marbles procured from trusted sources. These are carved and painted by creative professionals. Detailing has been done with extreme precision. We also make sure that statues look like an exact copy of the form described in the scriptures. 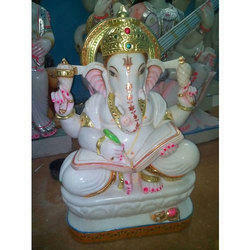 Marble ganpati statues offered by us are extremely popular amongst clients and can be availed at competitive prices. 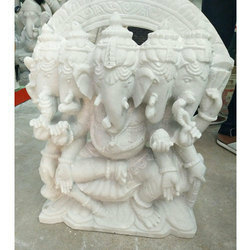 Ganesh white marble statue Intricately designed Ganesha Marble Statues offered by us are creatively carved using high quality components. 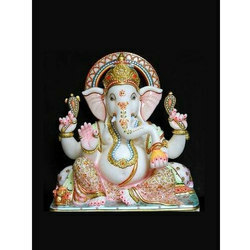 Perfect finish and alluring patterns of these Ganesh Statues makes these incredible. 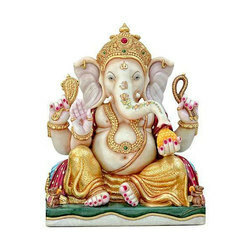 Designer Ganesha Idol is one of the deities best known and most widely worshiped in the Hindu pantheon. 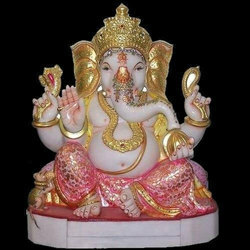 His image is found throughout India and Nepal. Hindu sects worship him regardless of affiliations. Prices may vary for the sizes and art. 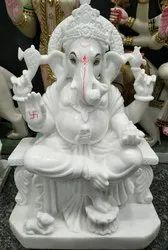 Ganesha statue is done with the pure marble. 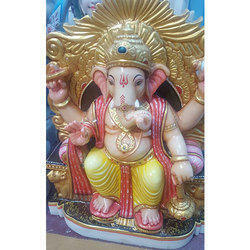 Marble made Ganesha with excellent finish. 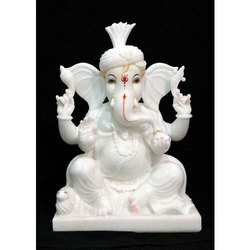 The Ganesha statue is manufactured here with the best quality of marble. The shine and smooth texture makes it diffrent with others.